Lenovo has launched Lenovo Vibe K5 along with Lenovo Vibe K5 Plus at MWC 2016. Now Lenovo Vibe K6 launched along with Lenovo K6 Power and Lenovo K6 Note at IFA 2016. 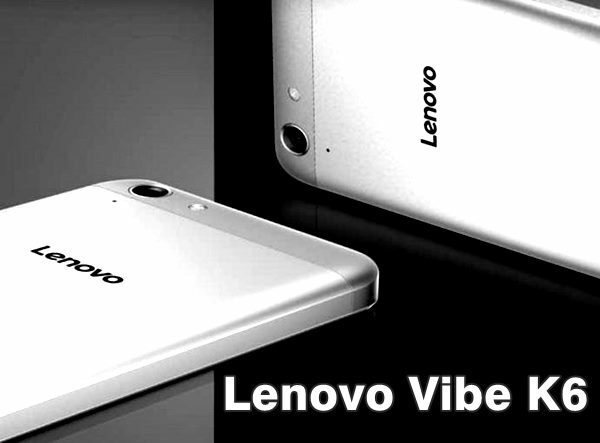 Lenovo Vibe K6 expected to go on sale in sept. priced approx. Rs 6,999 for 2GB RAM+16GB ROM, approx. 7,499 for 2GB RAM+32GB ROM. It will counter Xiaomi Redmi 3s. Lenovo Vibe K6 offers you full metallic body supports Dual-SIM(Micro SIM), 4GLTE, NFC, 3G, GPRS/ EDGE, Wi-Fi 802.11 b/g/n, GPS/ A-GPS, Micro-USB, FM Radio and Bluetooth. It will offers you a same 5-inch Full HD IPS display with resolution (720×1280 pixels) and 401PPi. Lenovo Vibe K6 runs in 64-Bit 1.7GHz, Qualcomm Snapdragon 430 octa-core SoC+ Adreno 405 and Google’s most advance Android 6.0 Marshmallow OS with Vibe UI on top. It will also includes 2GB RAM, 16GB/32GB Internal memory and 64GB expandable memory. Lenovo Vibe K6 will sport a 13-MP auto Focus Rear camera with LED flash for shooting promising superior photography in low light and 8-MP front camera best for video calling and selfies. It will be powered by a powerful 3000mAh battery with Quick Charging. Lenovo has recently Lenovo K5 Note in China priced at CNY 1099, Lenovo Lemon 3 at CNY 669 and Lenovo K4 Note with 3GB RAM priced at Rs 11,999 in India. At last few honest word, Lenovo Vibe K6 is coming to please budget smartphone lovers. What you think? Please be open to give your view and stay tuned for more updates. Is lenovo k6 &k6 plus coming with finger print sensor? When they are releasing in market? Is they coming with marshmallow? I am very eagerly waiting for those mobiles………. !